Have you ever heard about the Taxi Wallet? Actually, they are neither a wallet with taxi silhouette or just for taxi drivers, but a brand that has been established for 30 years. 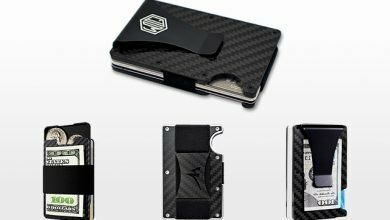 They are specialized in wallets focusing on slim and sleek silouette but still afford the most basic demands and needs of customers to accompany with you every day. 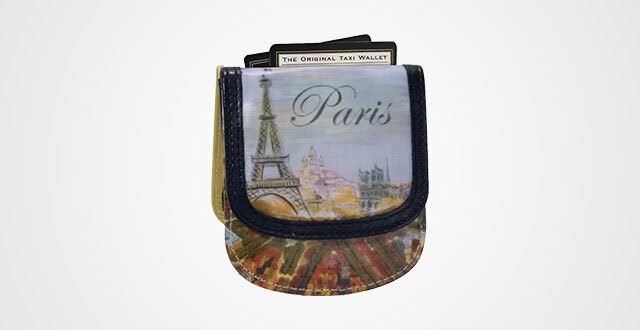 Talking about Taxi Wallet, a prominent feature is that corners of their wallets are curved. 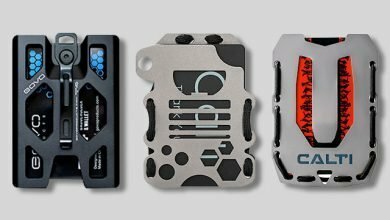 And besides, their designs are very convenient and practical, which I will talk more detailed in every single product listed in this article. 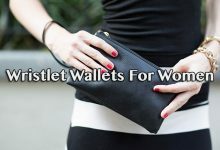 If you are finding for the best taxi wallet for men or women, your search is over! Look no further than this collection. Start off this list, here is the most common black Taxi Wallet as well as the safest choice to style it will your outfits. 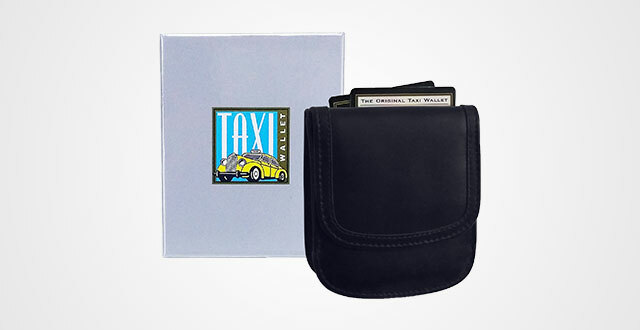 On the Amazon, it’s written as “TAXI WALLET Black 01 Leather Minimalist Front Pocket Card Wallet”, but it is in “The original Taxi Wallet” Collection of the brand. 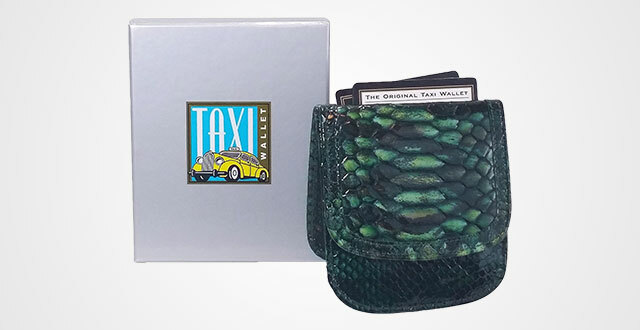 Why is “The original Taxi Wallet”? Because actually, these wallets were designed ALICIA KLEIN in 1987. 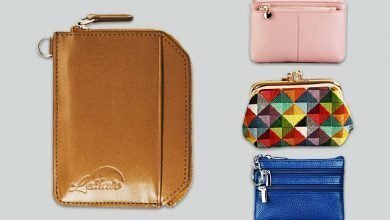 But the fun is that though it was created quite early, the wallet is NOT still out of fashion as its silhouette is minimalist and simplicity. Besides, this is unisex wallet. As always, I love the way that Taxi Wallet packaged their products. It’s a nicely squared carton box with their unique brand logo in the middle, which looks cool and kind of unique. When unboxing, you will see the wallet inside together with name cards and some other stuff. As always, four corners of the wallet are rounded to comfortably put in the front pocket. 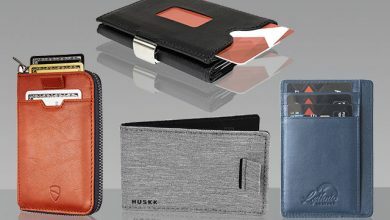 This mens taxi wallet is 4 inches high and 0.5-inch-wide, which is arguably slim and compact enough to stay neatly in any pockets. In terms of material, it is made out of 100 percent precious Italian leather. From that point, its texture is very beautiful, not saying that it’s very soft and timeless. You can use it for years with no fears of wears and tears or breaking down. Going inside, you will see a band sewn in the middle with double stitches, embroidered words – “One world, one wallet” and brand name. I really like this subtle and sophisticated detail. Besides, this Original line comes up with various designs and colors. Other than black, you can go with red, tan, navy blue and green. 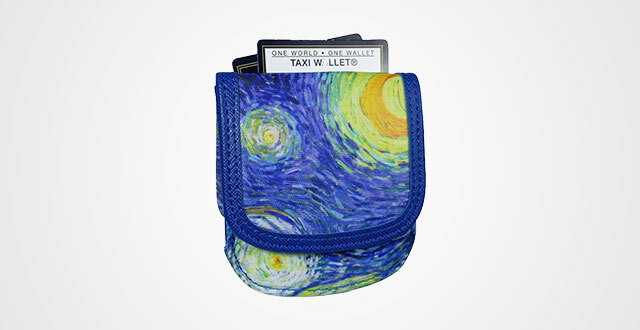 If you want something more art and subtle, Starry Night will surely draw any attention around you. The image is printed nicely in whole wallet, using advanced technology to enable to last for years without peeled out. Inside the coin compartment, when flipping out, you will see the word “Vincent” also printed nicely in the middle, which emphasizes for its art and uniqueness. This one arrives in more affordable price tag than the Black above, because it is made out of vegan manmade material, instead of real leather. This not only helps to decrease the cost, but also is favorited by those who don’t prefer any animal to be killed for accessories industry. Besides, vegan material is high-quality which is very friendly to skin, and environment. Another thing I like about Taxi Wallet in general is their easy to maintenance. In reality, they don’t ask any special care. Your Taxi Wallet get dirty? Just use a damp cloth and wipe it out. Done! If paying some attention to different Taxi Wallet products, you will see another prominent feature. They just come up with one construction. Measured by 4″ x 3.5″ x .5″, every Taxi Wallet includes 4 compartments. Three major ones are secured by snap button and one in the middle. 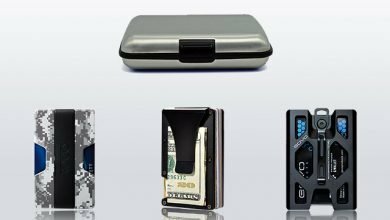 Two sided pockets are designed to store either your coins or many cards such as parking cards, credit card, debit card, member card, etc. and they can fit up to 8 ones. Not saying that there is also one hidden slot for folded checks, bills or secret stash. The middle compartment is full length for paper currency. But the feature that I really like is its organization. It helps to separate US dollars with other currencies such as Yen, Euros, or Hong Kong dollars, which is quite convenient if you are a regular abroad traveler or an enthusiastic currency collector. Last but not least is the outside pocket which is a perfect place for parking tub, student ID, bus/train pass or hotel key. It meets and fits all things we need nowadays! Want to be outstanding? Then you can’t go wrong with this Kandinsky! Its vivid and vibrant hues nicely printed in the vegan manmade material will definitely hook the surrounding eyes to your wallet. I mean in positive way. The coated canvas wonderfully honors the art of the masters. If you are wondering about its durability, just take a closer look. The snap part is trimmed with high-quality leather and double stitched. Not saying that the inner threads and seams are all well-made, especially in every corner. Besides, each button is glued stickily to the wallet so that you can feel ease in mind to use it for at least a couple of years. 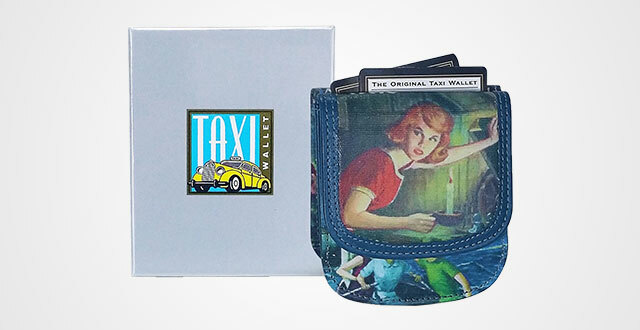 I see that almost images used for Taxi Wallet products have vintage style and art from the masters. A typical example for this is the Paris, which I pretty sure that those who have romantic soul shouldn’t ignore. Have a look on the frontside, there is the Eiffel Tower, some buildings, plants and the stylized word “Paris” that looks very peaceful, romantic and beautiful. 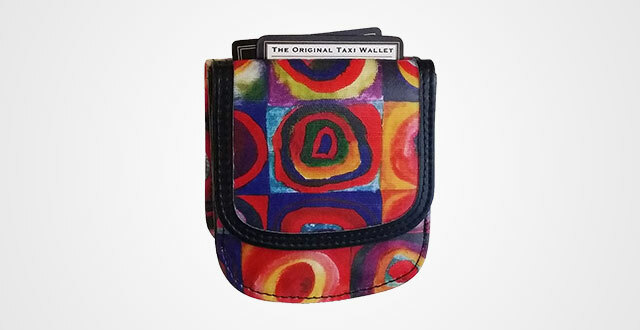 Patterned women’s taxi wallet is one of the must-have item in any wardrobe if you are a girl or woman who’d love standing out from the crowd. Choose this Taxi Wallet and ready to receive compliments, guys. Again, measured by 4″ x 3.5″ x .5″, it’s small and compact enough to stay either in any pockets or in any small purses. The curved corner design is another biggest benefit to help the wallet itself glide in and out more easily. 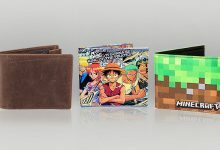 As designed to be a minimalist wallet, please understand that it will get fatter if you try to cram too many cards and stuff into it. It’s ideal to fit 6-8 cards and some paper currency. And don’t worry, with 4″ x 3.5″ x .5″ size, the wallet still fits nicely many kinds of money, including US dollars, Yen, Pounds, and Euros. There’s even a secret pocket where you can put up some important checks, bills and other stuff like that. 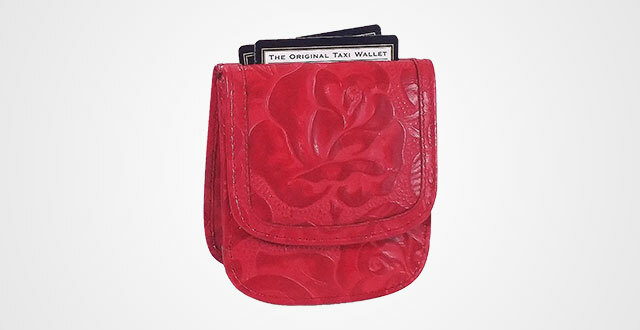 If a subtle accessory is your taste, don’t miss out this embossed red rose wallet. Not only on the frontside or backside, but also its interior is embossed nicely many roses to deliver a feminine and luxurious look but not way too girly. For those who are curious about its material, yep, this is another Leather taxi wallet. The whole wallet is made out of 100 percent Italian leather that all of you might know how expensive and precious it is. Even the inner lining is leather, too so that even when you open the wallet for any payments, it still gives a luxe feeling. 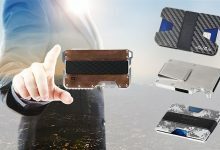 Besides, another special feature about Taxi Wallet in general is that it enables to snap to your belt if you don’t like to put it in pockets or purses thanks to the sturdy button. Don’t fret, it’s high quality enough to keep the wallet in place even when you are joining outdoor activities or walk a long day. Very protective and secure! 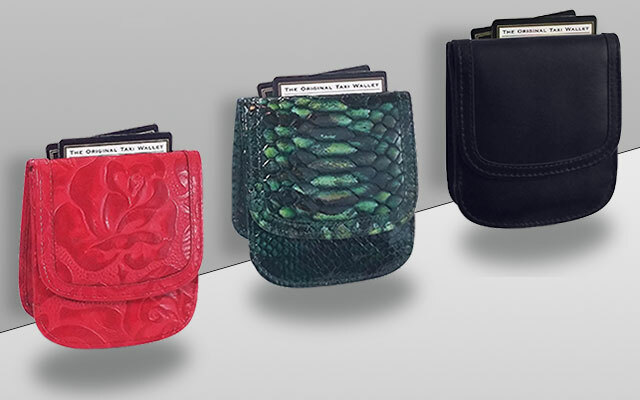 So, we have just gone through all seven amazing pieces in this Taxi Wallet collection. Have you picked up your favorite yet? 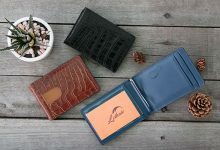 Hopefully, this article will more or less help you to find out the most suitable wallet to be the next best item in your wardrobe. Remember to always live in style and stay fresh!! !